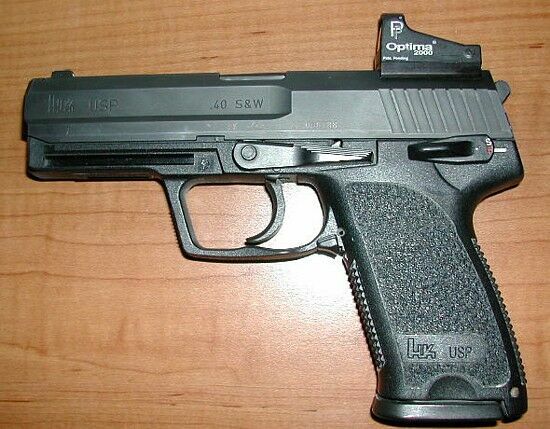 This is an HK USP40 with a Tasco Optima 2000 Red Dot Sight. The sight weighs just 1/2 ounce and does not change the feel or the balance of the pistol at all. It is extremely accurate and even fits in my normal holster.